This super bowl is suitable for indoor or outdoor, it is similar to space bowl in structural, and the difference is you can have fun with a friend together, is it for 2 people. You will have a magical experience after sliding along the long high-speed tunnel and several thrilling circles. it can also integrate into a Lazy River or existing splash pool. 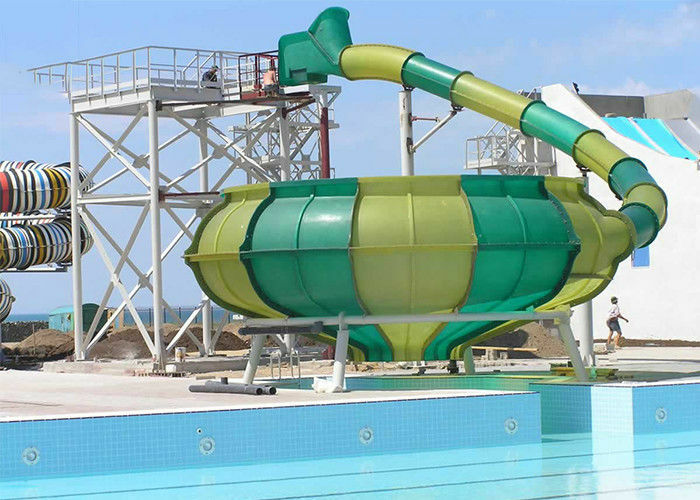 Aqua Park Equipment Fiberglass Water Slides, 12m Height Waterpark Super Bowl For 2 People. How to attract more tourists? Planned a theme performance, such as "impression · liu sanjie" by the large-scale guilin landscape performance, and zhang yimou took the position of director, which took three and a half years to complete. It combines the landscape of lijiang river, guangxi minority culture and the creation of Chinese elite artists, and is the first new concept of landscape performance in China. 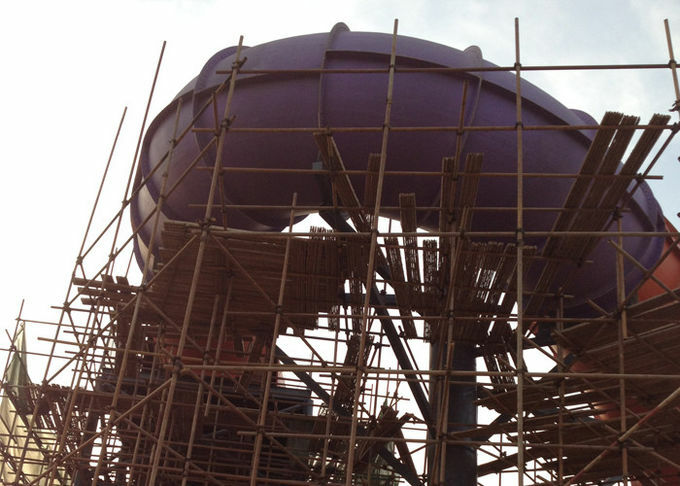 Water park operates through such strategies to attract a wide range of tourists, enhance the popularity of their own amusement brands, and add to the business of the park. In addition, it is a great strategy for the park to provide tourists with all-around service and convenience.